English: Diamond sparrow, diamond Java sparrow, spotted-sided finch; French: Diamant a gouttelettes; German: Diaman-tamadine; Spanish: Pinzon Cola de Fuego Diamante. 4.7 in (12 cm). The adult male is brown, above and including wings; rump and upper tail coverts are bright crimson, tail feathers black; forehead, crown of head, and hind neck ashy gray; lores black; throat white; sides of foreneck and flanks black, with some feathers having a subterminal white spot; breast, abdomen, and undertail-coverts white; bill vinous red; legs and feet dark gray; iris red. The adult female is very similar but usually smaller, with a narrower black band on foreneck, and paler lores. Inhabits savanna woodland, eucalypt forests, acacia scrub, mallee, orchards, cultivated areas, and parks and gardens. Found in pairs or small, often mixed-species flocks. The contact call is a "twooo-heee" while the alarm call is a loud "tay tay tay." The song is described as a series of low-pitched rasping and buzzing notes. Roosts in specially built nests similar to those used for rearing young, but lacking an entrance tube and lining. Feeds on the ground where it characteristically hops in search of a variety of seeds and insects. The breeding season is from August to January during which this species builds a grass nest with an entrance tube up to 6 in (15 cm) long. 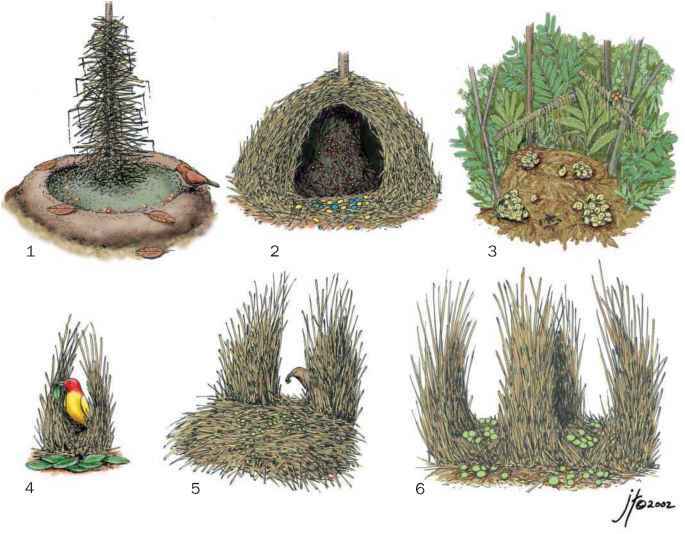 The nest is lined with fine grasses and feathers in which four to six white eggs are laid. The nest is sometimes built under or near those of raptors. Near Threatened. The decline in numbers is thought to be due to alterations of the natural habitat.